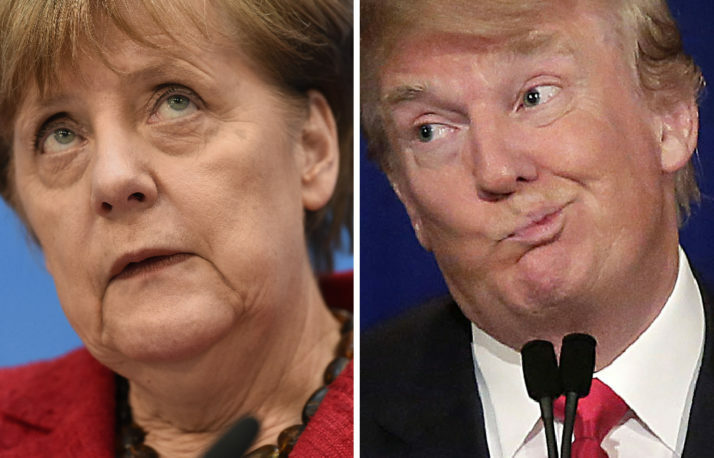 Merkel Meet Trump /March 14 - Retrospect ..
Last month, as per Trump’s announced policy on NATO, VP Mike Pence told the European nations at the Munich Security Conference that they have to spend more if they want NATO to keep working. He told the audience that out of 28 members only 4 countries other than the US are currently spending the obligatory 2% of their GDP on defense. All this was tense on the Europeans, who are already down in their economies, clasped in the refugee and terrorism issues that are aftermaths of the wars that US started in the Middle East. In contrast, China and Russia have been gaining ground around the globe with their friendly economic deals and their peace-making at places the US has devastated with wars. In particular, China has been appropriating funds to building hospitals, universities & airports wherever it makes big economic deals and slowly global economy is shifting out of the American and European sphere. Now Merkel &Trump are set to meet at the White House on March 14. In his election campaign Trump criticized Merkel’s open-door refugee policy & predicted that she wouldn’t be re-elected. In return Merkel condemned Trump’s migration restrictions & criticized efforts to divide the European Union & warned that America still needs allies. In short, Trump/Merkel meet-up will be a show of contest between an increasingly protectionist US & a Germany that, with its huge industrial potential, wants to open up to & embrace the wider world.